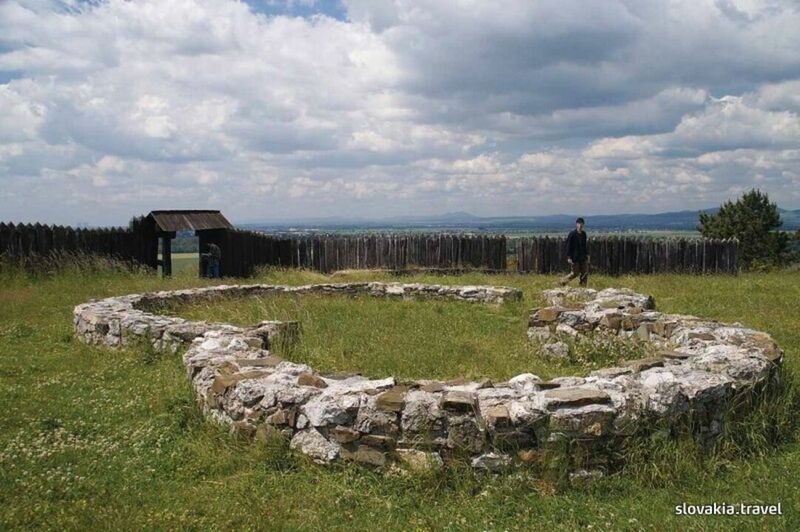 Systemic archaeological research on the hill Kostolec that towers above the village Ducové about 7 km north of Piešťany has documented more than 20 millennia of presence of different cultures in this place. The place on the western hillside of Považský Inovec with wonderful scenery and unrepeatable view has been reconstructed so as to provide a consistent picture of a settlement from the 9th and 10th centuries when thecitadel of the Great Moravian magnate existed here. The site is partially fenced by a copy of palisade fortification made of timber and clay. Foundations of a part of reconstructed fort and the pre-Romanesque church in form of rotunda can be also seen here. Locality Kostolec near Ducové maintains the tradition of the Constantine and Methods Pilgrimage, which takes place at the beginning of July.